Looking for more practice ideas? Pre-order my book of 99 Swim Practices for Swimmers & Triathletes. Fresh Freestyle, a refreshing way to approach your freestyle practice. Fresh Freestyle is perfect for new swimmers, fitness swimmers and triathletes. This collection of progressive technique based practices will have you swimming with focus, ease, confidence and speed. These workouts are designed to accompany the Steel City Endurance Free Sprint & Olympic Triathlon Training plans. 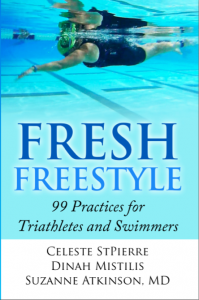 If you are arriving here via search engine, please enjoy some if the related swimming posts at the end of this page, or consider my book: Fresh Freestyle: 99 Practices for Triathletes and Swimmers. Click the image of the book cover above to download 3 sample practices from the book. On this page you’ll find a listing of some key swim practices. The goals of these series of practices are, on the surface, to make you a better swimmer, but more substantially, to teach you in the process, how that happens. My goal is for you to enjoy the process of learning and really understand how speed in the water is the product of good technique and a smart practice approach. Whether you are total beginner or an ex-high school/collegiate swimmer wanting to participate in triathlons, you’ll find that improvement comes quickly when you take a smart approach of training not only your swim, but also training your attention. Throughout these practices you’ll find specific instructions for where your attention should be directed, usually on a feeling or a thought while swimming. How long can you sustain that attention? 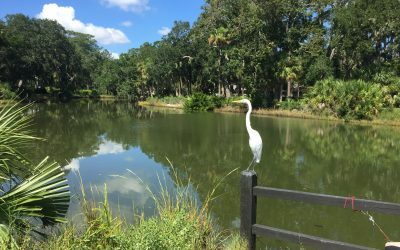 When your attention is honed and focused you can enter a “super-learning” state at will. These are the times when your swimming will progress the fastest, and be the most satisfying. When the attention is lost and your thoughts are distracted, you’ve exited that super-learning state and are JSA or “just swimming around”. Over time, you’ll learn to focus your attention more quickly and stay there for longer periods of time. It’s during these swims that 3 or 4000 yard practices fly by. 4 x 25 yds, rest 5-10 breaths Round 1: Focus on releasing the head, letting the water support it.Round 2: Focus on relaxing the hands. Allow a delicate grip in the water, not a stiff paddle.Round 3: Focus on streamlining the legs behind you. If you feel water pressure hitting the legs, bring them closer together behind you. 2-4 x 25 Swim 2 easy 25s, integrating the thoughts from the main set. Compare these sensations to the warmup round. If you are able, count your strokes on one or more of these lengths. 2-4 x 25 yds, rest 5 breaths in between. Gather information: Release the head as you did in practice A, and pay attention to if/how it changes as the swim goes on. Does it lift at the end of a 25? At the end of 4 25s? Round 1: 4 x 25 yds, rest 5-10 breaths Round 1: Focus on letting the water support your head and keeping the crown pointed at the opposite wall while swimming and breathing. Can you improve the sense of support by the final 25? Round 2: 2 x 50, rest 5-10 breaths Focus on extending your arm weightlessly in front of you as you swim. The arm should feel as if it’s floating forward, and not pushing down on the water. Can you hold this feeling during a breath as well? Round 3: 4 x 25, rest 5-10 breaths Reach just a little bit further forward with each wrist during each stroke, as if you are reaching for a high shelf. Does your body twist or sink while you do this? If so, decrease the reach while staying “tall”. 4-6 x 25 yds, rest 5 breaths in between. Focal Points 1: Release head, release neck tension. 1 Rounds of 4-3-2-1 Set (500 each) Objective: Can you maintain your focal point throughout each repetition? 4 x 25 Maintain focal point for each repetition. 3 x 50 Maintain focal point for each repetition. 2 x 75 Maintain focal point for each repetition. 1 x 100 Maintain focal point for each repetition. 2-4 x 50 Swim 2-4 easy 50s, integrating the thoughts from the main set. Compare these sensations to the warmup round. If you are able, count your strokes on one or more of these lengths. 4 x 50 yds, rest 5-10 breaths Round 1: Focus on releasing the head, letting the water support it. Round 3: Focus on streamlining the legs behind you. If you feel water pressure hitting the legs, bring them closer together behind you. 2-4 x 50 Swim 2 easy 25s, integrating the thoughts from the main set. Compare these sensations to the warmup round. If you are able, count your strokes on one or more of these lengths. 2-4 x 50 yds, rest 5 breaths in between. Gather information: Release the head as you did in practice A, and pay attention to if/how it changes as the swim goes on. Does it lift at the end of a 25? At the end of a 50? At the end of 4 50s? 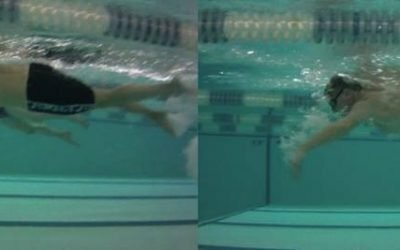 Round 1: 4 x 25 yds, rest 5-10 breaths Round 1: Focus on letting the water support your head and keeping the crown pointed at the opposite wall while swimming and breathing. Can you improve the sense of support by the final 50? 2-4 x 50 yds, rest 5 breaths in between. Focal Points 1: Draft legs behind torso. 2 Rounds of 4-3-2-1 Set (500 each) Objective: Can you maintain your focal point throughout each repetition? 6 x 25 yds, rest 5 breaths in between. Swim 2 pairs of 25s, using one of the main focal points below for each pair. Rest between every 25 and visualize swimming perfectly with the chosen focal point. 2 x 150 Rotate focal points for each 50 of the 150 repetitions. 4 x 25 Choose favorite focal point from the list swim 4 x 25 focusing on more relaxation with each length. Count strokes for the final 25 and note in your training log.